Those of us who are only fluent in English are so fortunate to have had this book translated from the original Turkish. The book incisively mocks bureaucracy from the point of view of clocks. 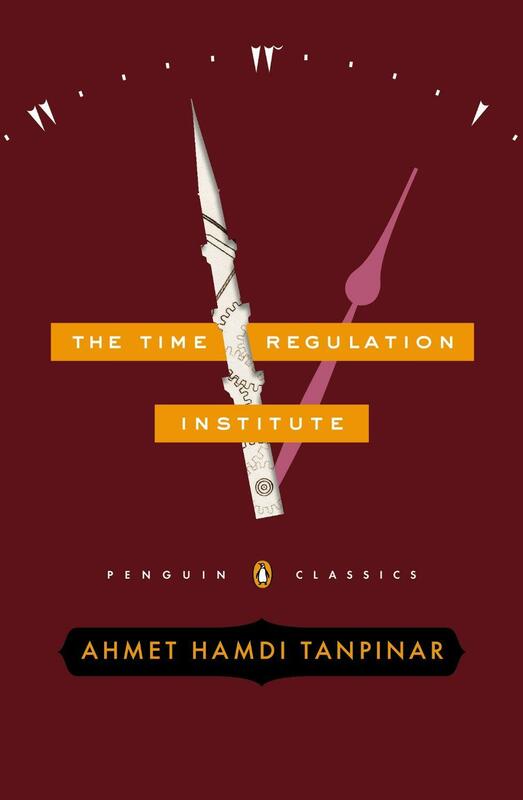 The main hero is Hayri Irdal, who guides us through the strange world of the Time Regulation Institute. In this Turkey, there is an entire department devoted to synchronizing all the timepieces in the country. Most of my commentary is from the beginning of the book since it gets more complex as it goes along. Plus I don’t want to give anything of this intricate story away. The scholar, though, turned out to be rather irksome. Finding the tomb of a man who never existed in mortal form is more difficult than you might imagine, as is surviving a vigorous debate with a foreign scholar, even with the aid of an interpreter. We were save first by what the foreign papers called out “Sufi-like attitudes and detached — or, rather,, indulgent — personalities,” and second by the fact that our forefathers had availed themselves of pseudonyms. The privilege I most enjoyed as a child was freedom. Tanpinar wrote this satirical novel in 1962 and it is still relevant today. His sharp criticism is funny and germane. He writes with a modernity of the West but with the grace and depth of ancient Eastern storytellers. My thanks to Laura at Penguin for the review copy.